I’m settling in for what will hopefully be a major writing binge today and have already gone on what may turn out to be my only outing all day. 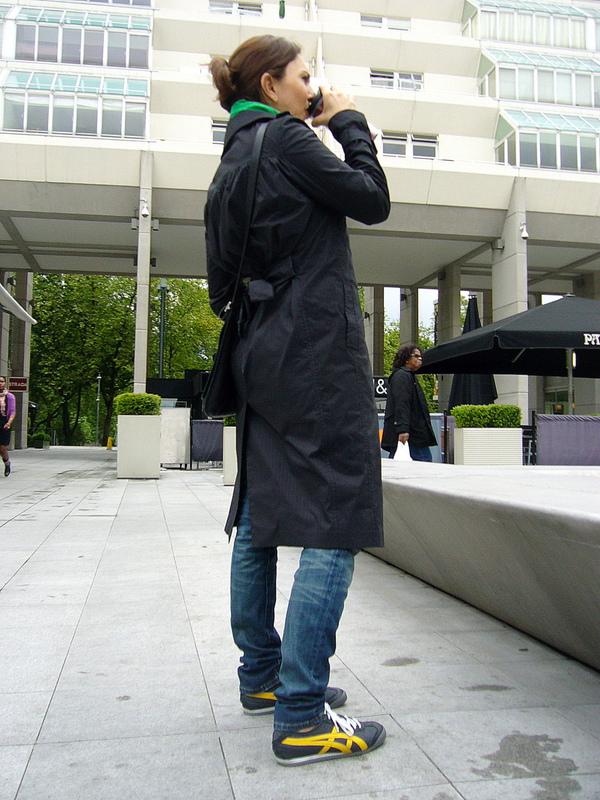 Obviously this outfit is all about the details since it basically boils down to jeans and a t-shirt. 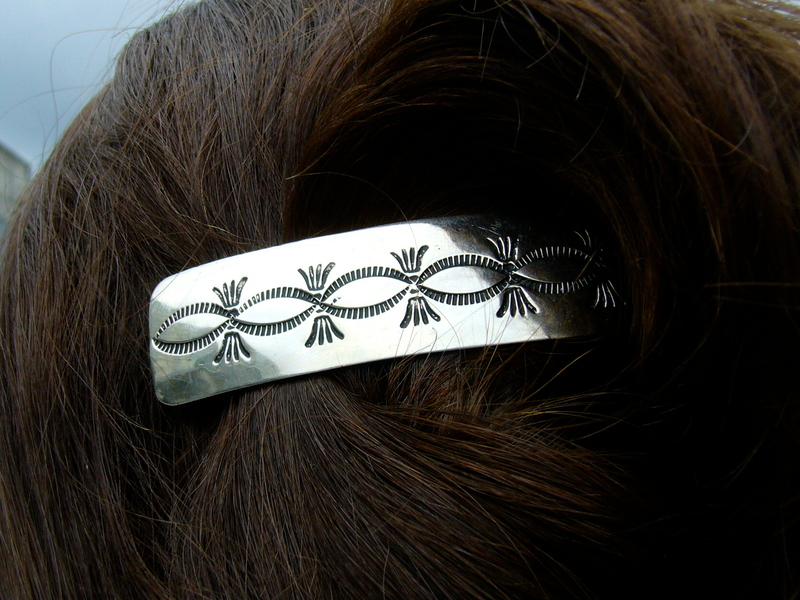 The stamped Navajo barrette kills two birds with one stone as both jewelry and hair-wrangler. 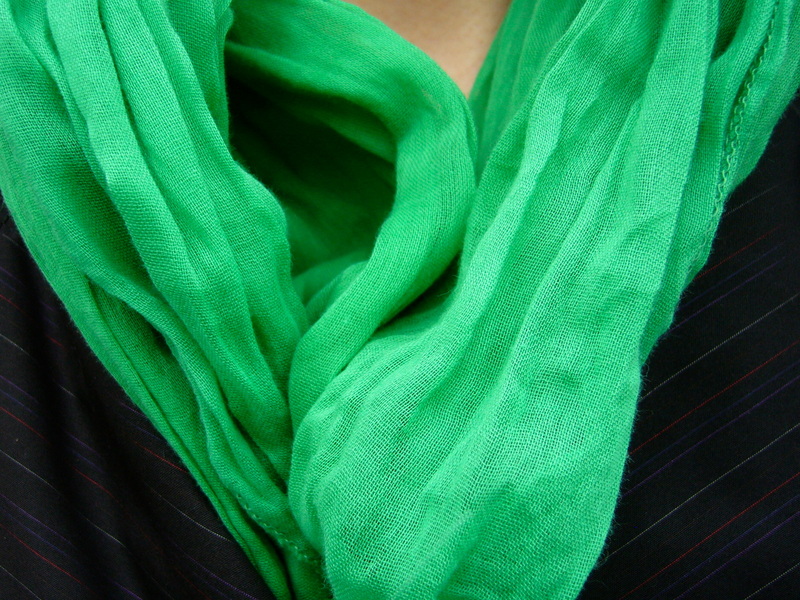 The green scarf is a really great lightweight cotton-linen that looks best rumpled, and I can’t get over the color. P has had a pair of these shoes for a few years and pretty much wears them non-stop through the summer, so I when I found these on sale I decided to see what all his fuss was about. 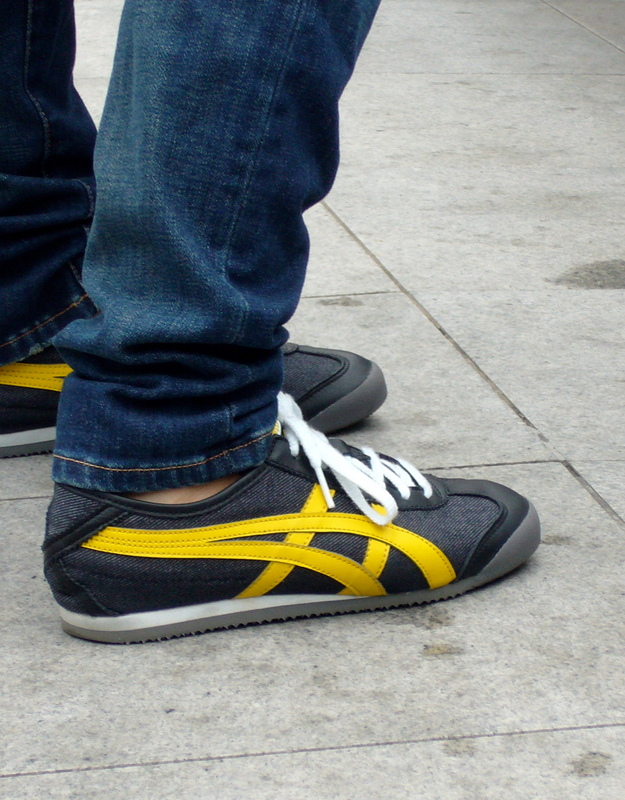 Aside from being lightweight and comfortable, this pair has a black denim body which is unlike any of my other sneakers. So there you have it. Thus concludes my excuse not to work. This entry was posted in Hers, Outfits and tagged coach, current/elliott, navajo jewelry, onitsuka tiger, paul smith, target. Bookmark the permalink.